This vintage brass nautical piling light measures 15 inches tall x about 7 inches wide. 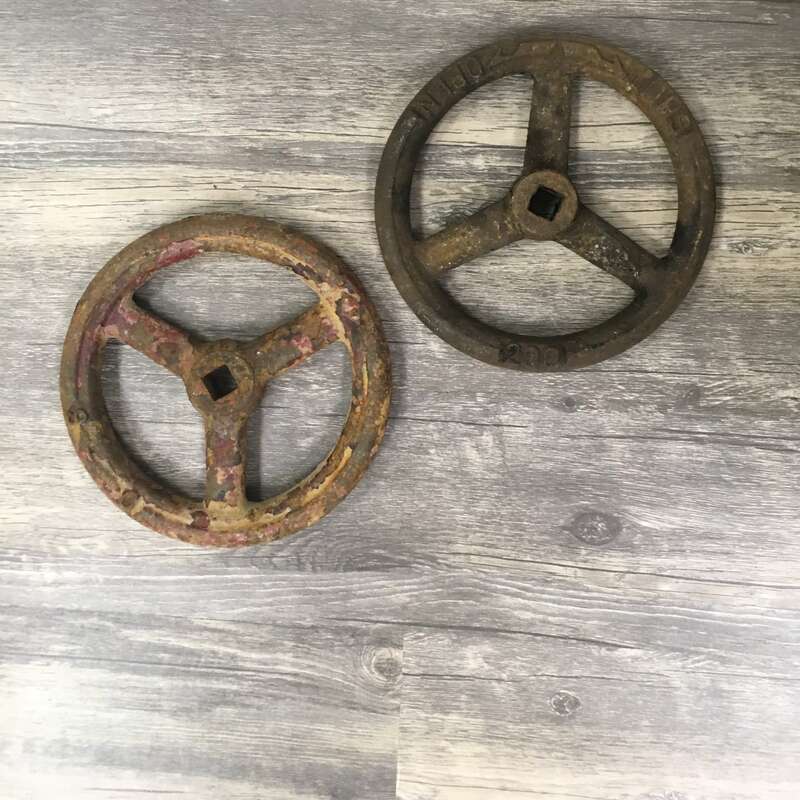 The heavy brass base has four mounting holes. 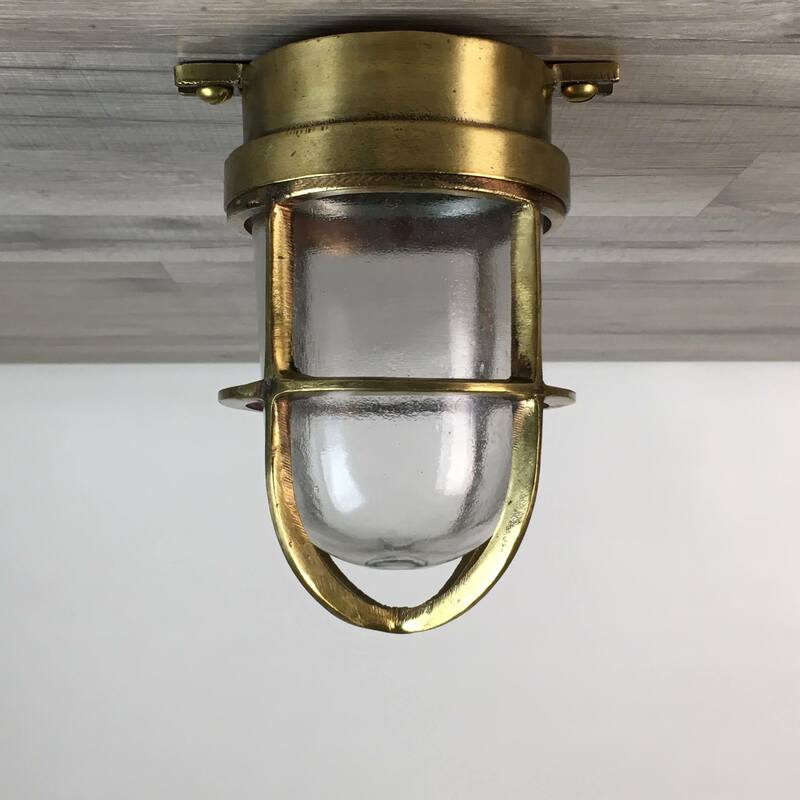 This vintage brass nautical piling light can be mounted with the glass pointing up or down. Weighs over 17 pounds!! This light was rewired with a new UL-Listed bulb holder that was made by Westinghouse Electric. The bulb holder takes a normal screw in house bulb of 100 watts or less. The all new wiring is suited for any voltage under 250 volts. Because of the construction design, this light can withstand direct water spray, and the bulb compartment will remain water tight. To access the bulb, the cage and globe spin off as one piece. This design requires no tools to change the bulb! You will be shipped a light like that shown in the photos.